Washing clothes is only half of the laundry battle, they have to be dried too. 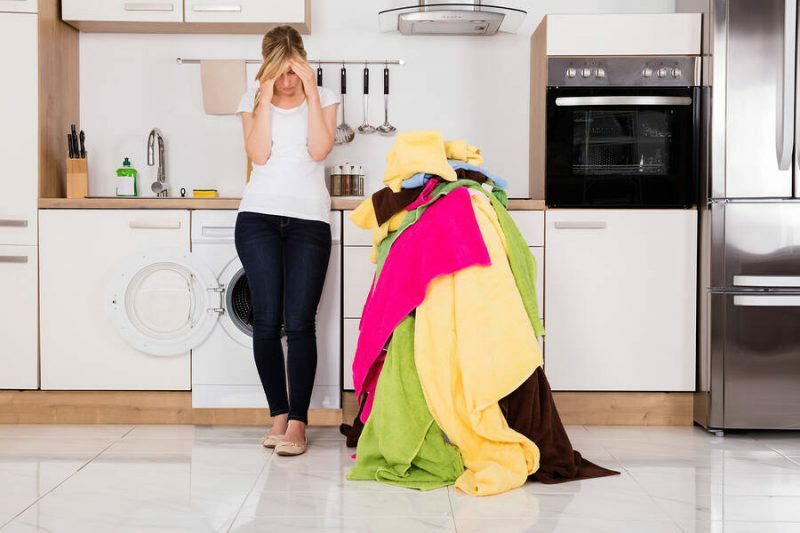 If your dryer starts and stops mid-cycle, you may end up with a surprise load of mildewed clothes, and nothing to wear the next day. If your issue requires professional support, It Is Fixed Appliance Repair is happy to help. We offer same day appointments seven days a week, and we’re open later than most appliance repair companies. Call or book a service call online today. Most dryers live next to an appliance that vibrates as it works, AKA the washing machine. If your dryer is turning off unexpectedly, the power cord may be loose or defective. Due to vibrations from the washing machine, the power cord may be slipping from the outlet. Inspect the power cord. If the cord is damaged or worn, the power supply to the dryer may be inconsistent. Replace damaged power cords, especially if they show evidence of burns or scorch marks. Inspect the power cord connection to the dryer. Many dryer brands have a power cord that is removable and held in place by screws. Unplug the power cord from the outlet. Check the metal connectors where they touch the dryer. You should not see signs of rust or corrosion. Check the connector screws to ensure the power cord is held tightly. Reseat the power cord. If you have not already, unplug the power cord from the wall, and plug it back in. The power cord should sit securely in the outlet and not wiggle. If the connector is loose even after you replug it into the wall, the outlet may need to be replaced. Inspect the fuse box. In some cases, a fuse box has two fuses for the dryer. If one fuse blows but the other stays intact, the dryer may still turn on, but then shut down when the power demands overwhelms the fuse. If the fuse is blown, it will need to be replaced. The problem may also be the fuse box. To test, turn your dryer on and allow it to run. When it shuts off, pull the fuses from the fuse box. They may be warm, but they should not be hot. A hot fuse may simply shut off, but it can also melt the fuse link. If the problem is blown fuses or a faulty fuse box, we recommend hiring the services of a licensed electrician to make the repair. Dryers equip a safety feature that automatically turns off the dryer if the door is open. This prevents injuries, but if the door latch is worn or broken, your dryer may cut off unexpectedly. Check the door latch. When your dryer turns off, open the dryer door and close it firmly. If the dryer turns on, but shuts off again when you’re not holding the door, the latch will need to be replaced. If opening and closing the dryer door does not restart the dryer cycle, there may still be a problem with the door switch. The dryer door switch is the electrical component that sends the signal to the control board to turn the dryer on and off. If it is defective, your dryer may only work sporadically. The only way to test the door switch is with a multimeter. A professional appliance repair service like It Is Fixed can check the part for you and replace it if necessary. Your dryer is equipped with several important safety features. If your dryer is overheating, the thermostat will kill the power to the dryer to prevent the risk of fire or damage to the dryer components. The most likely reason a dryer overheats is lack of airflow. Refer to our dryer maintenance guide for detailed information on how to ensure your dryer has proper airflow. You may also find useful information in our dryer repair troubleshooting guide for a dryer that is getting too hot. Some dryer models use a motor relay. The motor relay sends a signal to the control board to keep the dryer running as long as it receives an electric current, and to turn the motor off when the current stops. If this part fails, the dryer will run as long as you hold the button to start the dryer, and then stop as soon as you release the button. If the dryer motor relay fails, it will need to be replaced. The drum of a dryer is supported in the rear by drum bearings which turn with the dryer. In the front, the dryer is supported by drum slides or glides, which hold the drum in place and eliminates friction as the drum turns. The drum rollers support the dryer from underneath, dampening vibrations and keeping the drum stable. If any of these parts start to fail, you may hear a loud grinding, squeaking, or squealing noise as the metal dryer drum scrapes against the metal dryer frame. The added resistance may overload the dryer motor, causing it to shut off. To prevent further damage to your dryer, the failing parts will need to be replaced as soon as possible. We recommend not using your dryer until the fault is repaired. If you need to get your dryer running again fast, call It Is Fixed Appliance Repair. Our technicians are friendly, knowledgeable, and available seven days a week, so call us today.